Fees associated with filing patent applications in Azerbaijan, as well as other patent fees, are available in the fee calculator. The term for filing a patent application in Azerbaijan claiming priority is 12 months from the priority date. The term can be extended for 2 months if the applicant fails to file the application in spite of due care. For obtainment of a filing date, it is necessary to provide the Azerbaijani Patent Office with the request to grant a patent in Azerbaijani, patent specification, abstract and drawings in any language. All other documents, as well as the translation of the application, may be provided later. Patent applications may be filed in any language; however, translation into Azerbaijani should be provided within two months from filing the application. Additionally, patent claims and abstract should be translated into Russian. Priority should be claimed simultaneously with filing the application or within two months from the filing date. Priority document should be provided within 16 months from the priority date. Translation of the priority document is not required in Azerbaijan. A signed and stamped Power of Attorney should be provided within two months from the date of filing in Azerbaijan. A Power of Attorney should be stamped regardless of whether the applicant is a natural or legal person. In case of absence of the stamp legalization or notarization is required. The substantive examination may be requested within 18 months from filing the application, alternatively a patent will be issued at the applicant’s responsibility. Official grant fee, as well as first post-grant annuities, should be paid within two months from the expiry of the opposition period. The opposition can be filed within six months from publication of the application. If the information on the invention is disclosed by the applicant, author and a third party, that directly or indirectly obtained said information from them, within 12 months before the date of filing, such disclosure does not disprove the novelty of an invention. For the foreigners, it is necessary to perform the patent prosecution in Azerbaijan through an agent, registered Azerbaijani patent attorney. 1. Online Search Database for Eurasian patents (EAPO). 2. 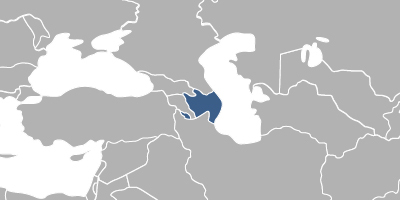 Patent protection in Azerbaijan may also be obtained via Eurasian Patent. 3. Inventions may also be protected as Utility Models in Azerbaijan.